When you think of the Fourth Doctor era, the costume designers everyone remembers are James Acheson and June Hudson. 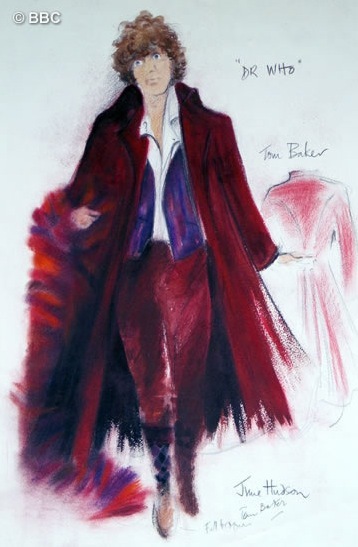 their work was iconic but a number of other designers contributed to the look of some of the most landmark serials along the way. 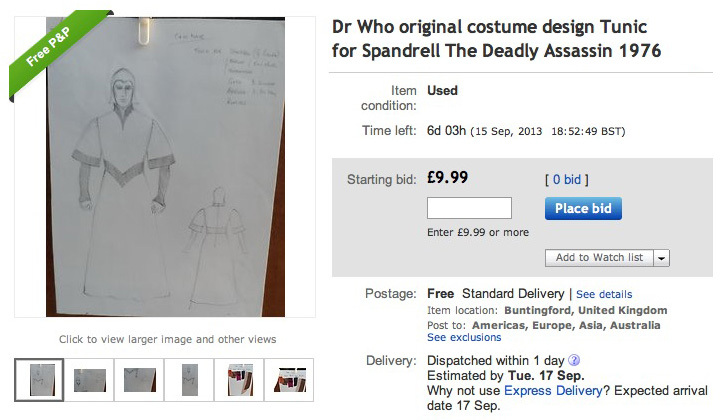 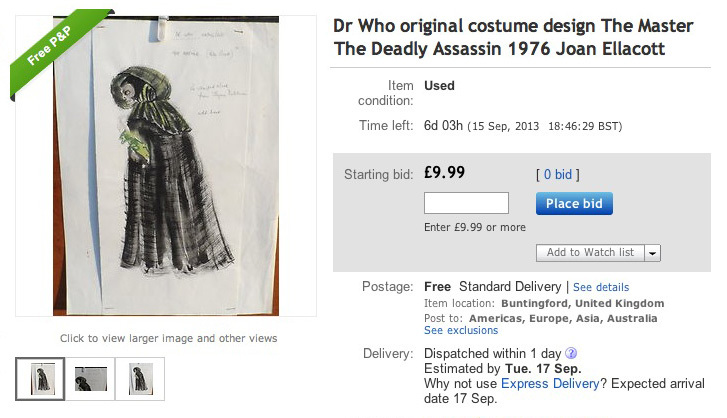 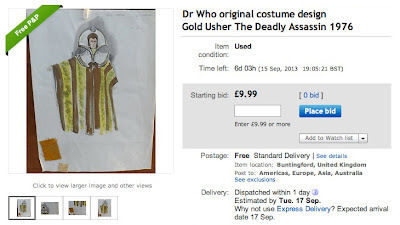 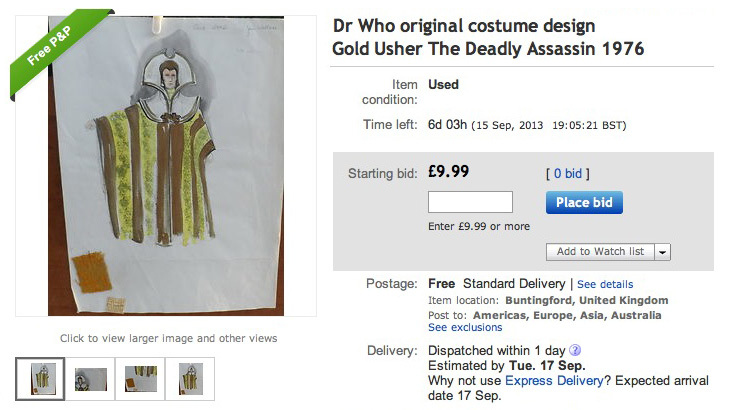 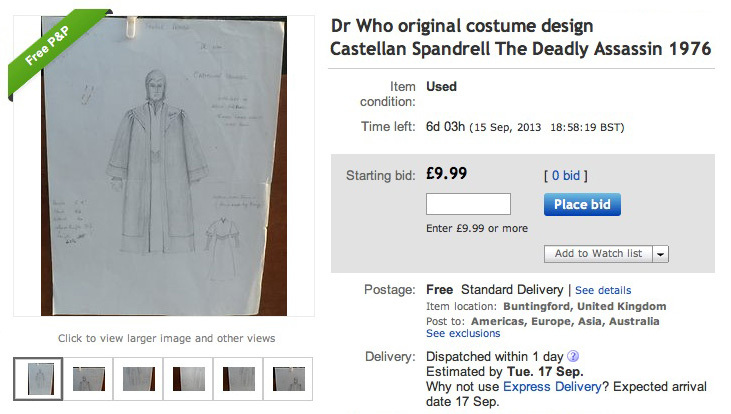 One of these, The Deadly Assassin, was designed by Joan Ellacott, and a portfolio of her entire career has been split and sold on eBay. Amongst the designs for a variety of costume dramas there are four of her designs for the robes worn by the Time Lords and the returning Master as seen in The Deadly Assassin. 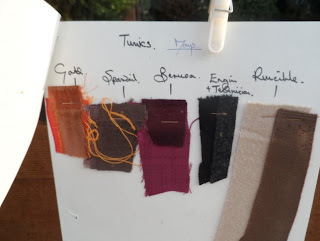 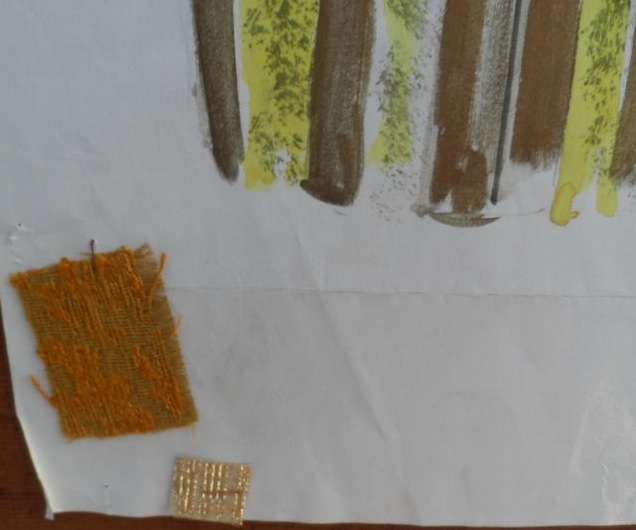 Two of the designs have fabric swatches attached, and one has George Pravada’s measurements! Original Artwork by Joan Ellacott costume designer for the Dr Who episode The Deadly Assassin from 1976. 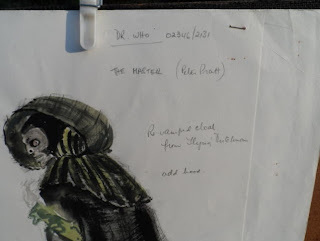 One of four Dr Who pieces for the same episode being auctioned which came from a very large folio of her work I acquired dating from 1965 to 1990. 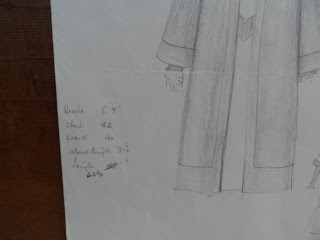 Measures 11.75 by 16 inches actual. Measures 9.75 by 13 1/8th inches actual, attached on a seperate sheet held together with a staple are sample cloths to be used. 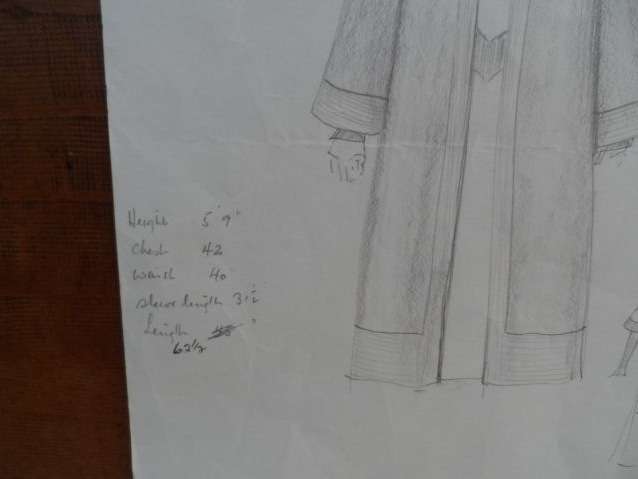 Measures 11.75 by 16 inches actual, sample cloth is attached. Measures 7.5/8ths by 16 inches actual size backed on paper with staples at the corners.